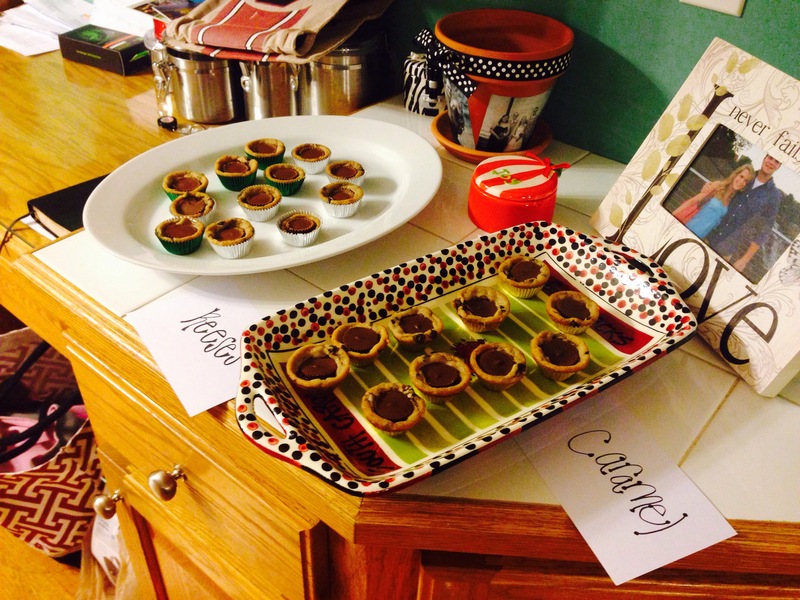 Before doing anything, be sure you put the peanut butter and/or caramel cups in the freezer. I suggest doing this as soon as you buy them! 2. Place mini baking cups in the pan. I usually do 1 color for peanut butter and another for caramel. You’ll need to do something to keep the 2 separate. Spray with Pam. Place cookie dough in baking cups. 3. 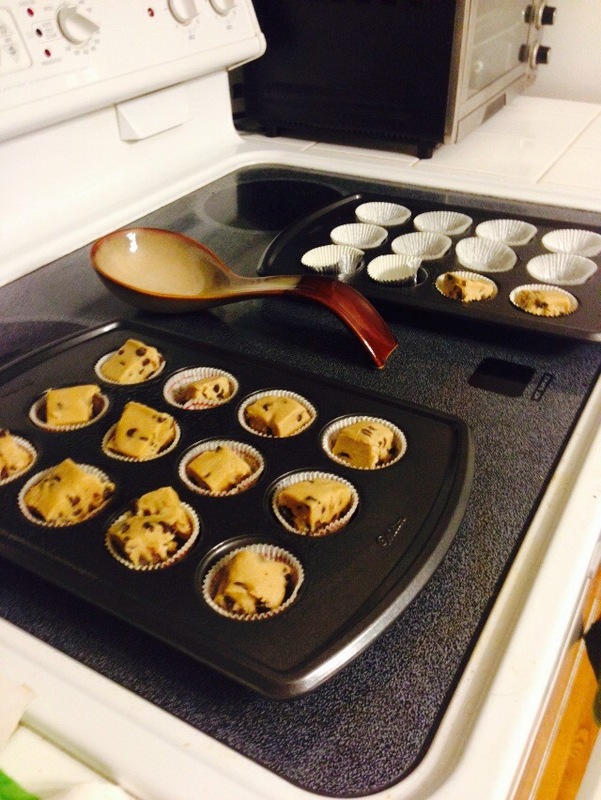 Put a square of cookie dough in each baking cup. 4. Bake according to package directions. 5. As soon as cookies come out of the oven, quickly unwrap the peanut butter and/or caramel cups and place them in the center of the cookie. 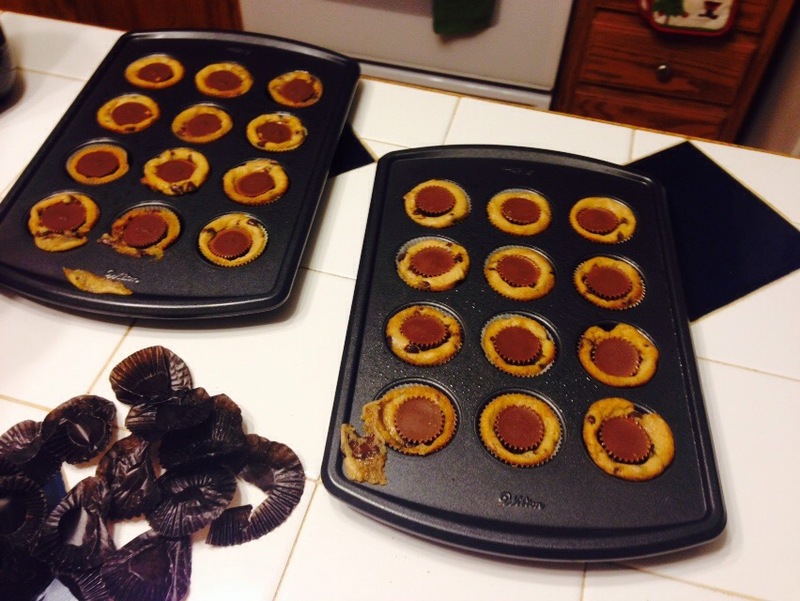 Quickly unwrap chocolate and place the peanut butter and/or caramel cups in the center of the cookies. 6. Put the pans of cookies in the fridge for chocolate to harden. Be sure to let those you’re sharing your cookies with know which cookies are peanut butter and which are caramel. Enjoy and have a merry Christmas! The finished product :)! This is 1 batch. Our college students gobbled these up in about 2 minutes! Previous postA Few of My Favorite Things!